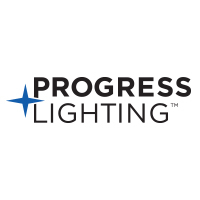 Progress Lighting launched a brand evolution in 2017 to present a look that better fit its go-to-market strategy for the future. Along with a logo change, the 111-year-old brand set a fresh foundation to equip, educate and excite designers, homebuilders, online retailers, showroom owners and their customers with current content and products that fit each audience’s unique needs. Rather than just providing cost-effective fixtures, it’s crucial to Progress Lighting to provide a whole home solution to its fan base. Accessories, finishes and textures all play into complementing a well thought out and effective lighting design. During the brand refresh, Progress Lighting focused on developing inspiring content while motivating and encouraging colleagues, partners, designers and homebuilders to engage with – and believe in – this new vision. Additionally, Progress Lighting unveiled an innovative residential growth plan that detailed a huge investment of supporting the goal of becoming the number one market leader through key initiatives, such as, creating inspirational materials that provide on-trend whole home solutions – and our very own publication Experience Progress was born.